Catalog and additional info available here. 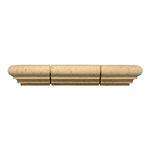 Available in 3 rail sizes plus faux stone! Mesa, Tahoe, Rough Sawn, Hand Hewn styles; Pre-primed and ready to stain or paint. SOLD 4 to a bundle. Price is for quantity of 4. 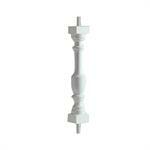 Available in Primed White or Primed Woodgrain. High-density urethane and reinforced with steel. 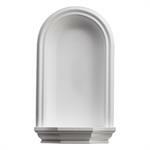 Crossheads, Keystones, Pilasters and more. 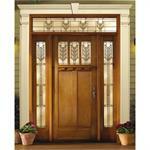 Appliques, Finials, Fixture Mounts, Spires, Porch Spandrels, Wreath & Bow and more. 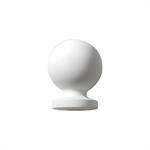 Decorative Urethane Full-Round Finials : Ball, Pedestal, Acorn, Urn and Pineapple Tops available for exterior use. Available for ventilation or for decorative. 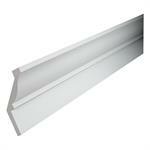 100's of profiles to choose from and easily installed. 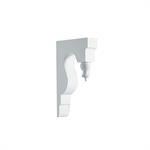 Decorative Wall Niches in two sizes. 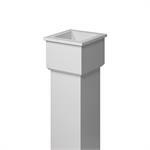 Fypon, Urethane Spires will enhance the beauty of any outdoor area. Pre-primed White. Urethane Stone Surround Systems. 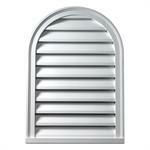 Arched & Flat Blocks, Keystones, Sills and more. A. If the order is 20 pieces or less (stock at Fypon) and ordered prior to 11AM EST, Fypon will ship the next business day. Freight costs will apply (call for quote) plus a $55 net rush cost. Next or 2nd day air costs must be quoted. 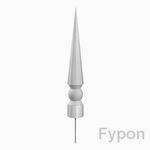 Q. if Fypon makes a custom mold for me (which I pay for), how long will they keep the mold for re-orders. A. Unless the item is ordered multiple times throughout the year, we plan on destroying the molds at the end of each year. If you know this item is something that will be needed over an extended period of time for an ongoing project(s) you may request that we keep the mold longer. 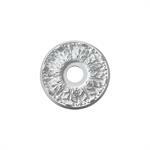 Any re-orders of custom molded/fabricated items will be assessed a $100 set up fee for quantities of 5 pieces or less. A. 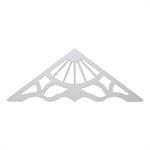 Most truss systems are not seen from above the trusses. 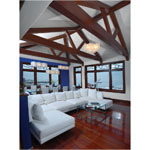 Fypon does not offer a closed beam for a truss system. 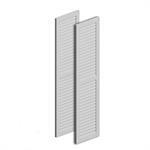 You could use one of the Flat Trim boards and install it on the job. 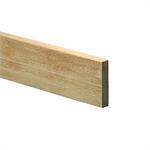 However, the flat board will not match the Hand Hewn, Tahoe or Rough Sawn. 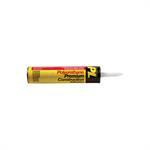 Fypon resists moisture, bug infestations, warping and cracking. Fypon is pre-primed and must have a finish coat applied either prior to or after installation.